Generation X—meaning the generation born between 1965 and 1979—faces some unique challenges when it comes to retirement planning. According to a 2018 survey from TD Ameritrade, 43 percent of Gen Xers say they're behind on retirement saving and only one-third of 39- to 53-year-olds expressed confidence in being very secure financially once they retire. Many Gen Xers are still feeling the effects of the Great Recession, while others are caught in the crunch between competing financial goals, such as paying off debt or saving for college for their children. Overcoming those challenges and shoring up retirement savings begins with a plan. Here are the most important retirement milestones to aim for if you're in your Gen X years. To effectively save for retirement in your Gen X years, you need to know what your goal is. If you haven't calculated how much you'll need for retirement yet, that's a top priority. Consider what kind of lifestyle you're hoping to enjoy in retirement. Will you travel, start a business, take up new hobbies? What do you anticipate paying for things like housing, food and health care? Will you be providing any financial support to your children or grandchildren? Will you or your spouse continue working part-time? How much do you anticipate receiving from Social Security? All of these questions can help you shape your target retirement savings number. Remember, it's better to overestimate than set your retirement savings goal too low. Your employer's 401(k) or a similar workplace retirement plan can be your most powerful tool for retirement savings in your 30s, 40s and beyond. Not only do you have the opportunity to save for retirement on a tax-deferred basis while you're entering your peak earning years, but you can take advantage of your employer's matching contribution to grow retirement wealth faster. If you're in your late 30s and you haven't fully capitalized on your employer's plan, that needs to be your first priority. Start with evaluating your current contribution rate. Are you saving enough to qualify for the full employer match? If not, you need to bring your savings rate up to the minimum level to qualify as soon as possible. If you are getting the match already, consider whether you can increase the amount you're contributing. This is particularly important if you haven't fully maxed out the annual contribution limit in previous years. Ideally, you should be saving up to the full annual contribution limit each year, every year. 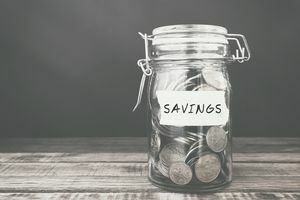 If you can't make a huge adjustment in your contribution rate right away, consider increasing your savings rate incrementally each year by 1 to 2 percent. If this gradual increase coincides with an annual raise, you likely won't even notice a difference in your paychecks. As you get into your late 30s and early 40s, you should be headed toward peak earning potential territory. As your income grows, you need to look beyond your employer's plan to step up your retirement savings, especially if you haven't saved that aggressively in the past. There are two specific tax-advantaged accounts to consider: an individual retirement account and a Health Savings Accounts (HSA). Whether you save in a traditional IRA or a Roth depends largely on your income. You can only save in a Roth IRA if your adjusted gross income meets the IRS guidelines. The advantage if you qualify is that any money you put into a Roth IRA is 100 percent tax-free when you withdraw it in retirement. A traditional IRA, by comparison, is taxable in retirement but you get the benefit of a tax deduction on your contributions. A Health Savings Account isn't a retirement account per se, but it can still be useful in funding your retirement years. HSAs are designed to be used to save for qualified medical expenses and contributions to these accounts are tax-deductible. Withdrawals are tax-free if they're used for health care, but you can also tap into one of these accounts for other reasons. Any withdrawals you make from an HSA after age 65 are penalty-free; you just pay regular income tax on the money. Considering that your employer may offer a matching contribution to your HSA, there's no reason not to fully fund one of these accounts if it's available to you. These accounts are associated with high deductible health plans so it's worth checking with your employer to see if you have access to an HSA. As you begin accumulating retirement assets, think about where you're keeping them. Your Gen X years are when you want your portfolio to be growing so that when you retire, you can shift into investments that provide you with a steady stream of income. If your portfolio is largely composed of safer investments like bonds or cash in your 30s and 40s, its growth potential is limited. When you're still a couple of decades away from retirement, you should be focused on stocks and mutual funds, which entail more risk but provide a better opportunity for higher returns. Also pay close attention to the fees you're paying for your investments. The higher the fees, the more of your returns you get to keep. The more you can bring your investment costs down in your Gen X years, the more that can pay off once you're ready to enter the retirement zone.